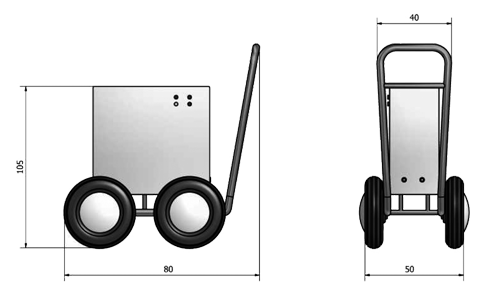 We design and manufacture portable equipments for the disinfection of all kinds of surfaces of work. These equipments are used also to disinfect any type of machine or tool used inside the food sector. Portable machine for the disinfection of soils, walls, machinery and working tools used in the food industry. With these equipments a dissolution of ozone is obtained in the water with a concentration of 2-3 ppm equivalent to 400-600 ppm chlorine disinfection. In addition there is not need to use neither warm water or chemical products to realize the disinfection. Fully automatic process.